Who has his Raspberry Pi running as a Server, etc., will quickly realize that the little giant can become very hot. To a certain extent, one can surely ignore this, but if the Pi is running day and night, you should pay attention to the temperature (especially in a housing). Since I also had this problem, I took it as a project to keep the case and the CPU cool. I took a 5V fan and a DS18B20 temperature Sensor. The Transistor installed is a BC547. If you do not have a temperature sensor or you do not want to measure it, you can still use the Script with a small adjustment. As Resistors, I have taken 4.7k Ohms each. The output pin for the Transistor is pin 23, although any other GPIO pin that does not have an assigned function can be taken. 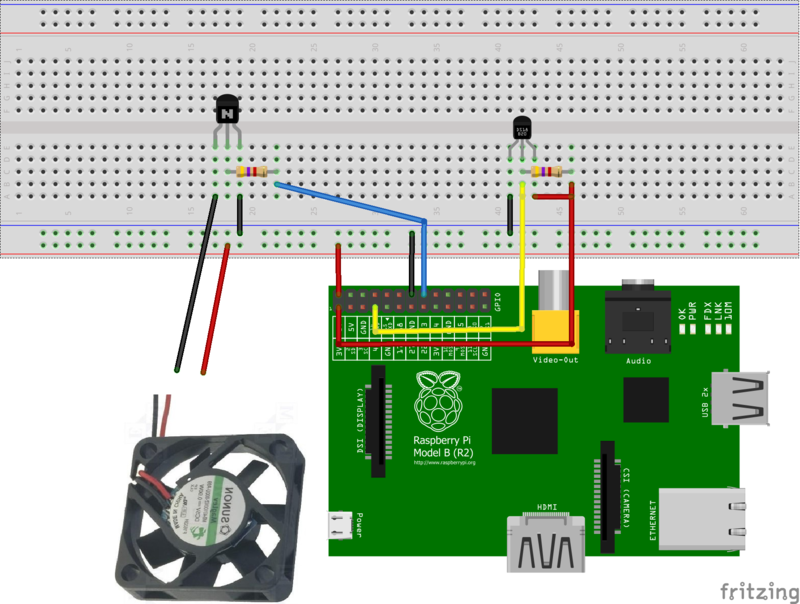 Important: The temperature Sensor is connected to 3.3V, whereas the Cooler is connected to 5V. In order to make the work as easy as possible, I have already prefabricated a script that you only need to adapt. Here, lines 19 to 23 are important and possibly adaptable. Now, IMPULS_PIN simply indicates the GPIO pin, which is used to drive the transistor. SLEEP_TIME indicates all how many seconds the temperature should be checked. I do not recommend a too small number to give the Pi more calculation time for other applications. 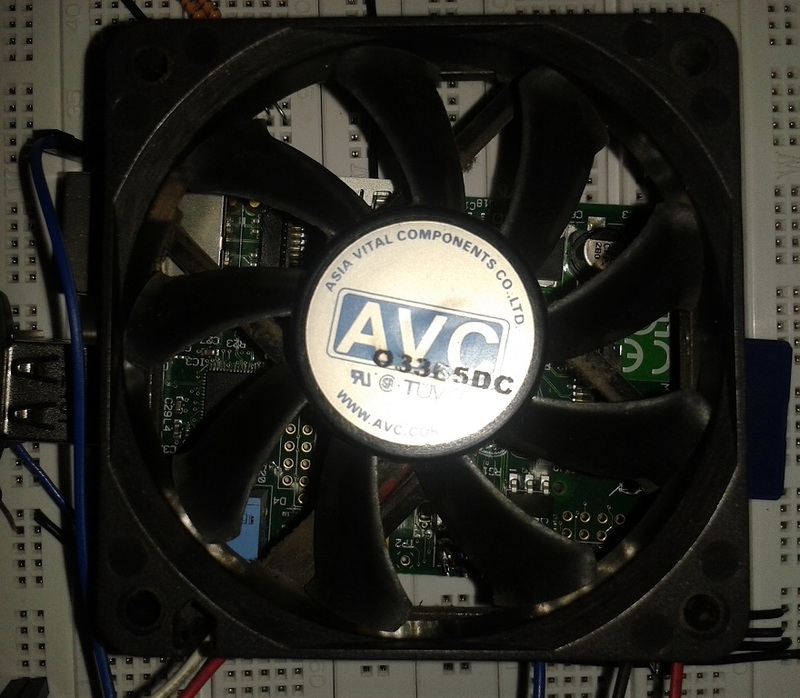 MAX_CPU_TEMP and MAX_SENSOR_TEMP indicate the respective temperatures at which the fan should start to rotate. It does not matter what is achieved first; as soon as one has been reached it starts to turn. If the cooler is always turning, set MAX_CPU_TEMP = 0.
the Script can already be started. If you want to have the values displayed on every check, you can delete the # in lines 59 and 60 of the Script. Under point 7 Overclock you can set the clock rate. For example, I have set Medium or High as needed. You can adjust this depending of the Application (in the case of computationally intensive usage, a higher clock rate makes more sense and brings speed at the same time).